The Half Hawk pattern isn’t one you see everyday, but it’s definitely worth a test run in your pocket everyday. Rough Rider has now produced at least three different handle styles of the Half Hawk pattern, and they’re almost perfect for the traditionalists everyday carry (EDC). 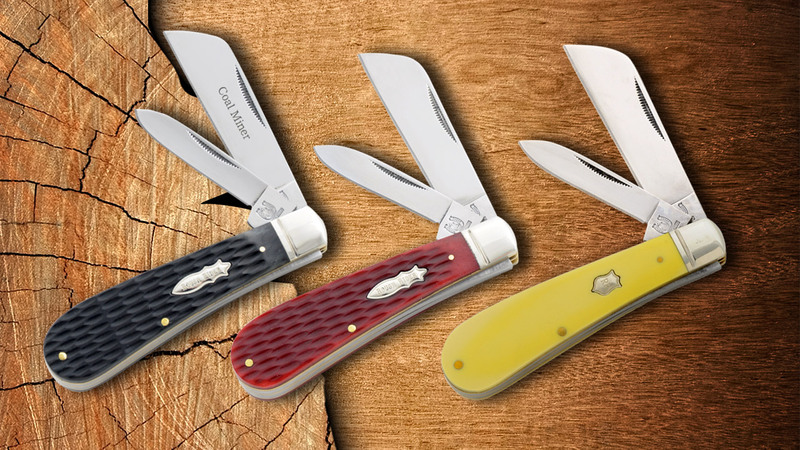 (Above left to right) The Rough Rider Half Hawk Coal Miner with Black Jigged Bone handle, the Rough Rider Half Hawk with Red Jigged Bone handle, and the Rough Rider Half Hawk with Yellow Composition handle. The Half Hawk is a jack knife that is similar in shape (when closed) to the traditional Hawkbill pattern. 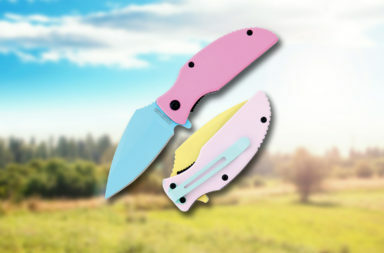 The handle shape is almost identical in every way, but the blade configuration is different. The traditional Hawkbill usually has one large pruning blade, while the Half Hawk has sheepsfoot main blade and a smaller spear blade (both opening from one of the knife). It’s very much like a two-bladed Barlow with a Hawkbill handle. 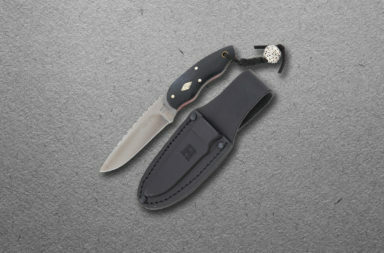 At 4″ closed, the Half Hawk is a good size knife pattern. 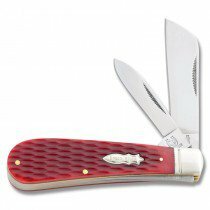 It’s about the same size as the Moose (4.25″) and the Large Trapper (4.125″). 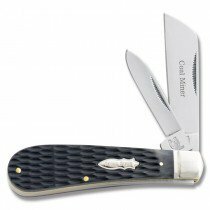 The 2.25″ spear blade is perfect for little jobs like cutting of tags or loose threads, and the 2.75″ Sheepsfoot is excellent cutting tool. It allows you to get on top of the blade with a thumb or a finger and really apply some cutting pressure. It’s perfect for opening packaging or even cutting up fruit. Each of the knives in the image above made of 440A Stainless Steel and perform well. 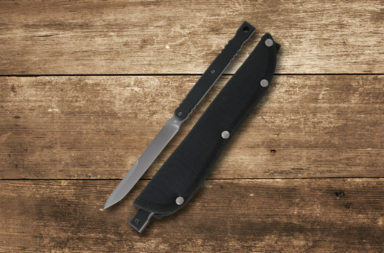 It’s almost hard to believe that knives under $10 have materials and craftsmanship that rival (and match) American-made, far more expensive competition. 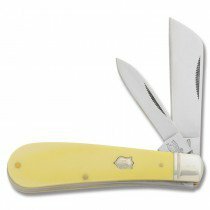 The two jigged bone knives above are genuine bone and the yellow composition is a hard composite plastic. 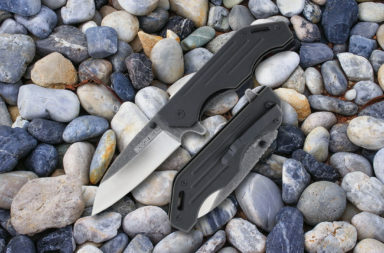 At this price point, the Rough Rider Half Hawk is worth a good test run in your pocket. If you’re interested in getting one, you can find them below. Simply click the image to learn where to buy.